The following is a collection of hunting tips for people looking to bag "Big Bucks" during Deer Hunting Season. Follow these tips and you will have much better luck consistently harvesting large deer. These tips are specifically for southern Ontario, encompassing everything south of Sudbury (including Manitoulin Island). #1. Understand the different periods of the fall hunting season and how to hunt during that period: The October lull, pre-rut, rut, post-rut and late season. 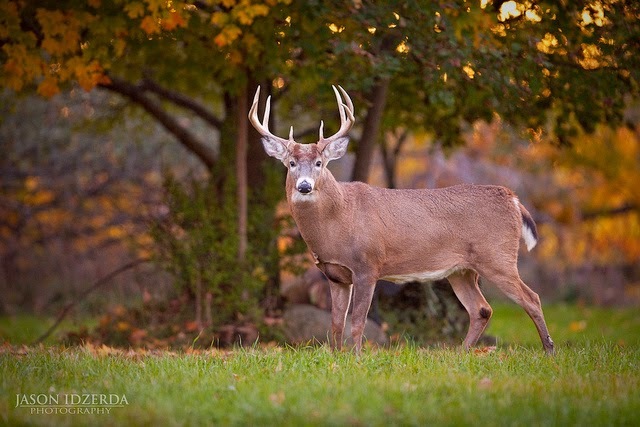 The October Lull (the first 3 weeks of October) is the worst time to shoot big bucks. During that time period bucks live in a small core area and only travel about 200 and 300 yards each day. Chances of seeing bucks will either be at their bedding place or when they are travelling between the buck’s bedding and their food supply. But doing this without being noticed is next to impossible. Your best chance for even seeing a buck during the October lull is to scout quietly, move during low light, hunt from bed to food or on food sources. Have quiet enter and exit strategies. 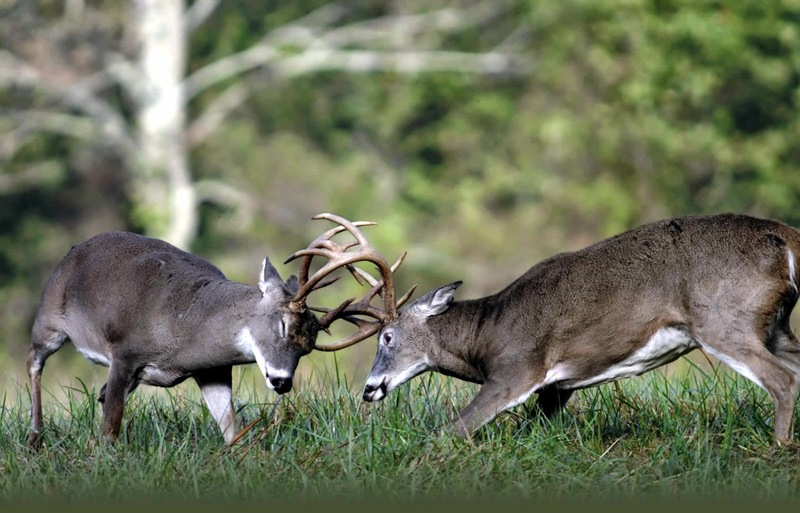 The Pre-Rut (the week before and after Halloween) a buck’s testosterone levels are peaking as they establish territory and dominance, with less focus on food. This is when hunters will begin to find antler scrapes on trees and “licking branches” above those scrapes. During the Pre-Rut feel free to make as much noise as you want. Rattle and grunt even, crash through the brush and use your horn - basically act like a 250-pound buck. And don't be surprised if the bucks come looking for you. The Rut (the remainder of November) is when bucks are solely focused on breeding. They start scraping trees less and are traveling 3 to 5 km per day searching for does to breed with. Your best strategy during this time period is to find a doe, and then just follow the doe and eventually it will meet up with a buck. All day long your goal should be to either use aggressive tactics to cover more territory and/or choose tree stand sites with extremely good visibility. The Post-Rut (very end of November to December 10) is a good time to bait the deer with corn, which is the deer’s food of choice this time of year as they want to build up fat before the snow falls. The best strategy for the post-rut is to scout quietly, same as you would during the October Lull. #2. Leave sanctuaries of land where you never hunt. These are segments of land, two to three acres, on hunting properties that you never, ever hunt on. The idea here is that it provides a place year after year for the deer to become attracted to - because deer live by their ears, eyes and nose and if you’ve been there, then the deer know about it. #3. Use tree stands on a windy day to prevent your smell from scaring the deer away and always use a harness. #4. On days when the wind is calm tree blinds are better. #5. Scents do help, but they're not a necessity. Arguably scents are just a placebo for hunters who don't know how to scout and want the deer to come to them. #6. Deer are colour blind. You don't need to wear camouflage. But you do need to wear something that breaks up your form so it appears as different shapes. Of course all of this hinges on whether you get a buck tag in the draw. You will be using sometimes dramatically different hunting techniques if you are looking for does.